At Bussenger Financial Group, our top priority is helping you to achieve financial independence for your retirement needs. Our simple, free, no obligation 3 step review is a great way of helping you achieve your true needs and desires. We will also help you determine if your current strategies match up with your plans for today and for your future. The wonderful benefit of our 3 step review is that it applies to any financial decision or concern you have, it helps you stop your money from falling through the cracks, and it assures that any major financial decision you make is right for you. In other words, learn what questions to ask before making any financial decision and identify ways to assure your decisions are in your best interest. 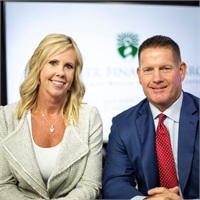 Bussenger Financial Group is a private wealth management investment company serving the surrounding northwest suburbs of Chicago. Our founder, Lisa Bussenger, is an Investment Advisor who serves as a Fiduciary to Bussenger Financial Groups clients. Bussenger Financial Group has specialized expertise in financial and retirement planning, including: investment advisory services, income planning, advanced tax planning, wealth management and estate planning. Historically you may have made investment and financial decisions only to find out at a later point in time how those decisions affected your retirement planning. In fact, it is imperative to understand how our investment and financial decisions affect the income taxes we pay, the income we receive and the risk we are willing to bear. Surveys of affluent Americans consistently tell us that their major frustration is that financial advisors should be more proactive about future issues that might affect their financial well-being. Most financial advisors focus only on accumulating assets. Our job is to help you look forward and plan ahead to cut future tax bills, avoid unwanted risks, and help you avoid financial problems in your retirement years and with your estate plan. We use investment strategies tailored to overcome the challenges we face in today’s turbulent economic times.